Yesterday I wrote about Howard Gardner’s Multiple Intelligences with my own photo interpretation. 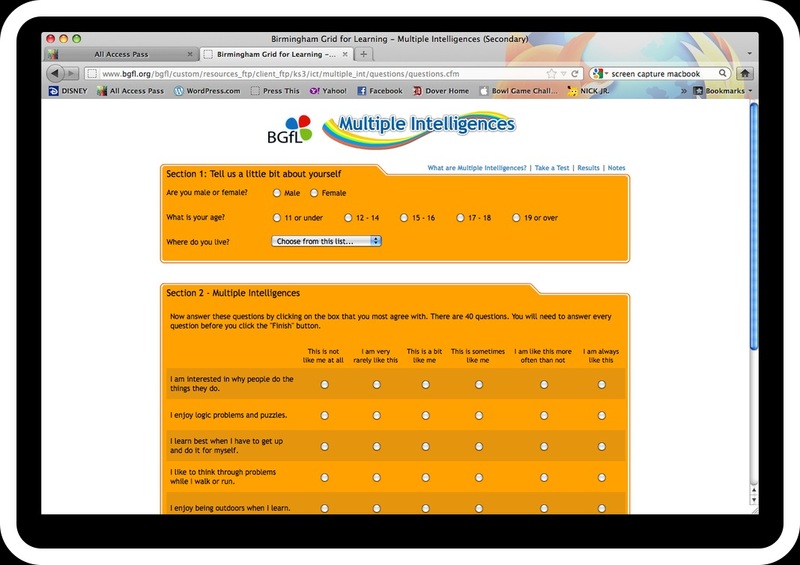 Today, I am going to give you a few links to some surveys you can use in the classroom. #1 This printable pdf file has 10 questions in 9 “chunks”. After answering, students complete a tally table and a bar graph (Math lesson anyone??) 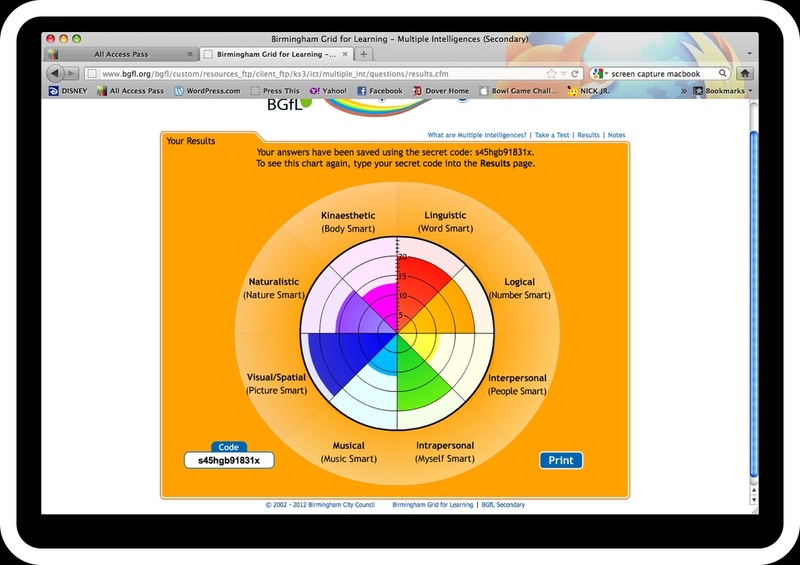 The results of the graph show their strengths in terms of Multiple Intelligences (MI). Please note that this doesn’t seem to work well on the iPad. My results: Visual/Spatial, Linguistic, Logical and Interpersonal. That pretty much sums me up. Thank you for the document and survey link. Students will become better learners if taught how to identify their strengths and weaknesses. They are also very visual, so the bar graph and online survey will make bigger impressions on them than simply “telling” them what the results are. You’re welcome! I am glad that you can use them! Like what you are doing and how you are making the material so accessible and interesting. Thank you! I am glad my ideas are working! Thanks for visiting!